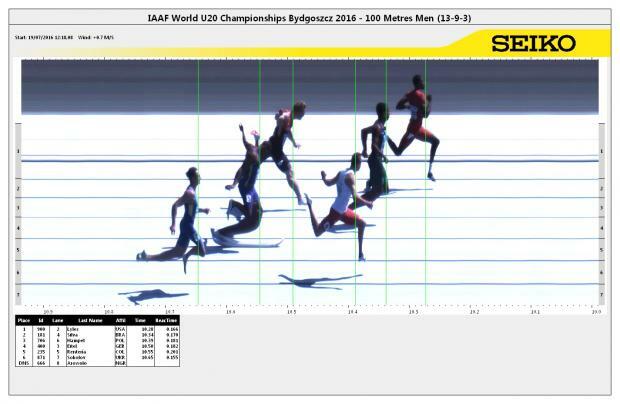 Will Noah Lyles Break 10 Seconds... Go Professional? After finishing fourth in the US Olympic Trials and subsequently dealing with a huge rumor storm on Twitter, Noah Lyles is once again in the headlines nationally. This week in Bydgoszcz Poland at the IAAF World U20 Championships he is racing against the best in the world in the 100m dash. This will be his final race (or event) at the prep level and the last that can count towards high school national records and state records. He is no doubt racing it to do just that, break the national record of 10.00. He enters the competition with a personal best of 10.07 (wind-aided) and a 10.14 (wind-legal) in the 100m dash. He also just broke Roy Martin's 31 year old record just last week when he finished fourth in the US Olympic Trials in a wind-legal 20.09. Now anyone who has watched him race and train knows he has a lot left in the tank and frankly isn't great at starts. So that begs the question: Could he and will he break the ten second barrier and national record at this meet? Being this fast has some other complications as well. Obviously he is fast enough to run in college (signed with Florida) and frankly could win NCAA titles as a frosh, but he is so fast that he could legitimately go professional today. MileSplit National Editor Johanna Gretschel recently asked him about the chances of him going pro and he had a lot to say. The biggest take-a-ways were that he had received multiple offers and that he would only go professional with his younger brother Josephus as a package deal. His future is up in the air and it is likely very contingent on how he performs this week in Poland but regardless of the path he chooses, he is going to have a teammate for life in Josephus whether that be at Florida or as a pro. Watch his interview just after his opening round in the 100.